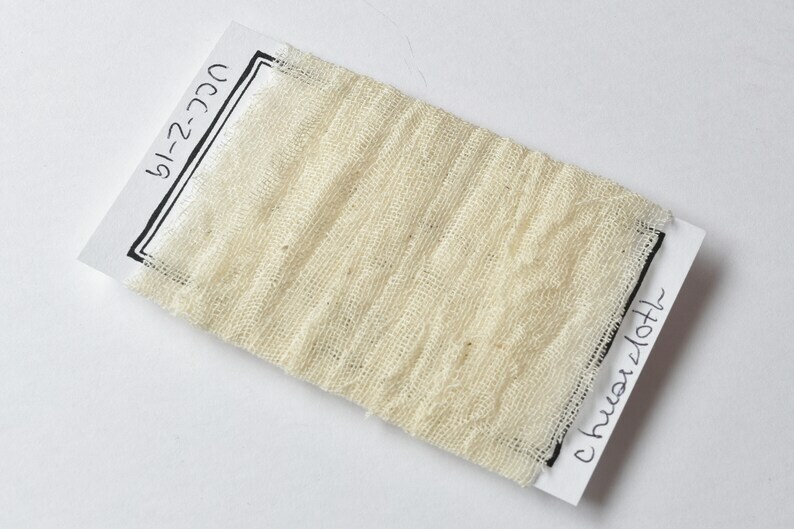 Hand cut, undyed unbleached cheesecloth fabric ribbon. 56 inch length, one half inch to 1 inch width, frayed edges. Hand cut to 1 half (.5) inch to 1 inch width, 56 inch length, edges unfinished, frayed.